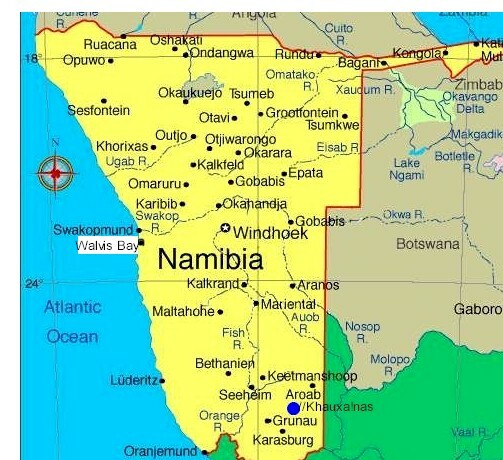 Madisa (hello or welcome in the Damara / Nama language) Camp is centrally located close to Twyfelfontein, Petrified forest and White Lady, between the Ugab and Huab Rivers in western Namibia. 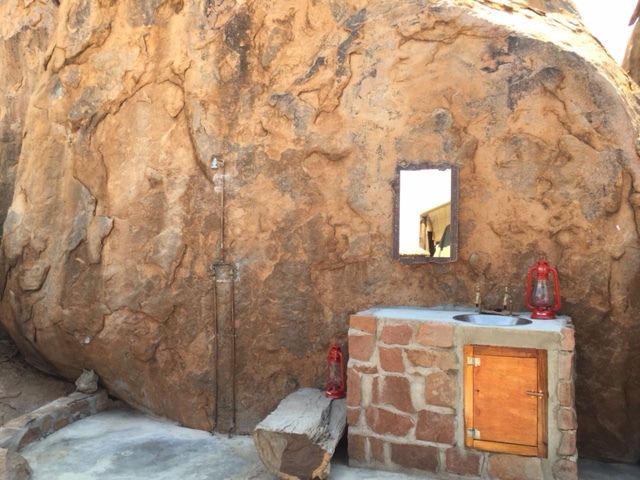 The camp is straddling the Guantegab River, suggestive sculptured granite overlooking the Brandberg. 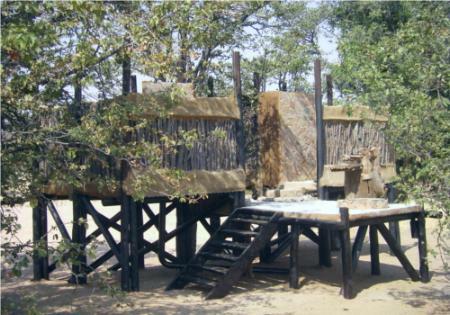 Madisa Camp offers exclusive camping facilities, for individuals, groups and overland trucking facilities. 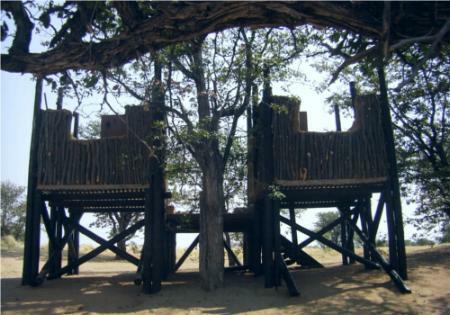 10 Campsites for the individual traveller with family/ smaller groups. 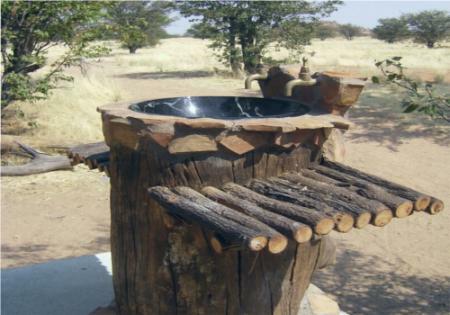 Private Shaded Campsites with running water, wash up facility and braai area. 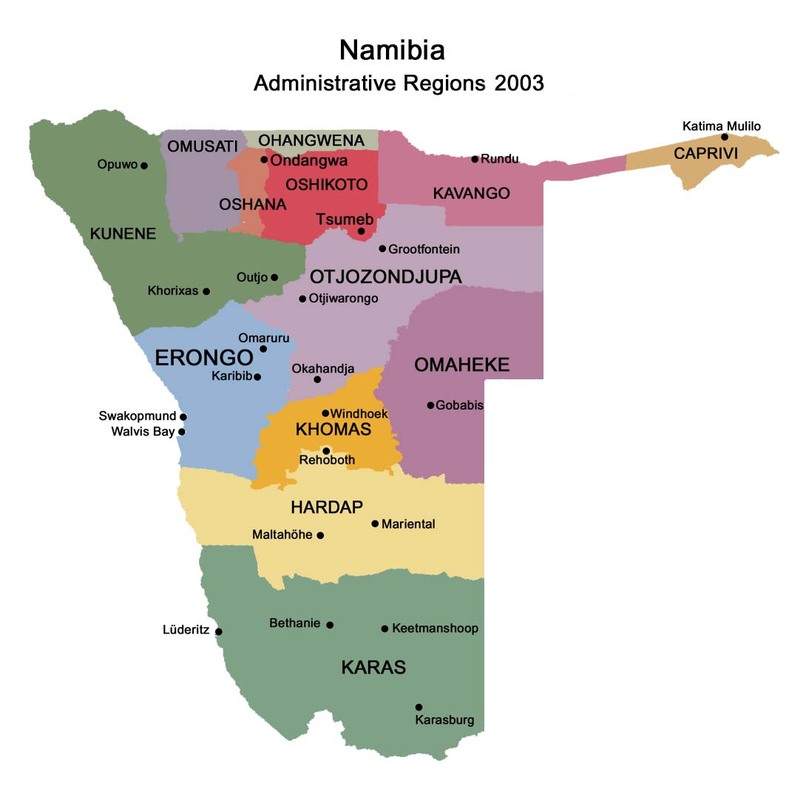 4 Overland trucking facilities. 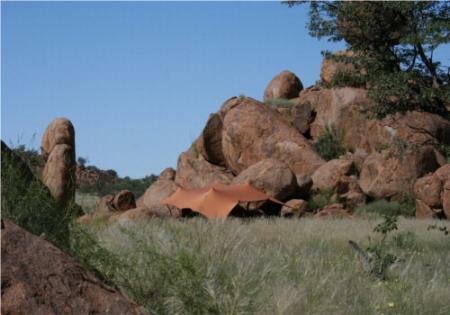 Madisa Campsite is situated on a very popular route between unusual rock formations with newly discovered Bushman paintings and has privy to an ancient elephant route that often gets visited by these big footed friends. 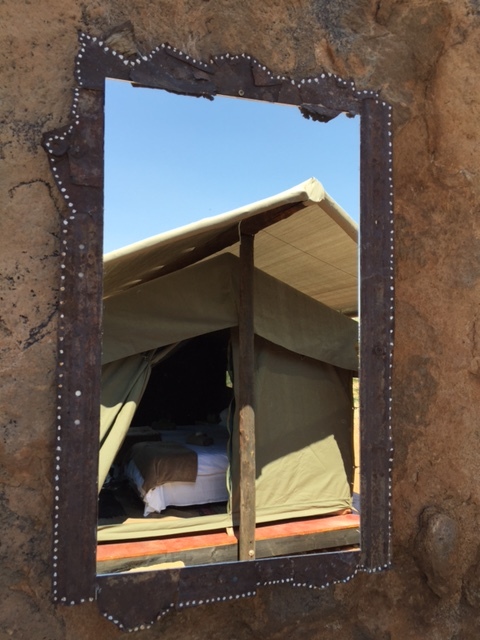 Ideal for the traveller who wishes to stay in luxury without compromising the experience of exclusive camping on the bed of the Gauntegab River. 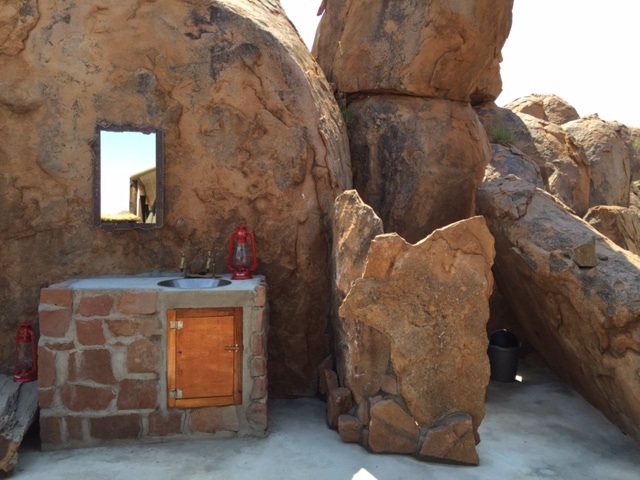 Each spacious campsite has an exquisite view of the river bed and rock formations and offer individual ablution facilities situated on stilts hidden in tree tops, offering that unique outdoor feeling with river sand under foot for dust free camping and easy tent setup The barbeque facilities also double up as a heater (donkey system) for hot running water at each open air shower. 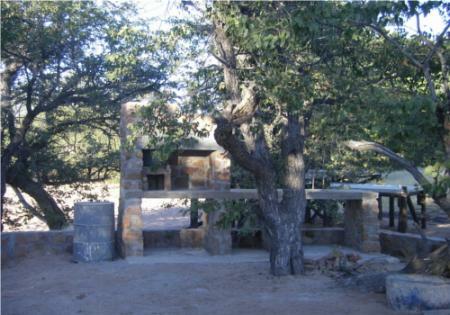 Wood and braai packs, camping equipment and crockery are also offered for an additional fee. 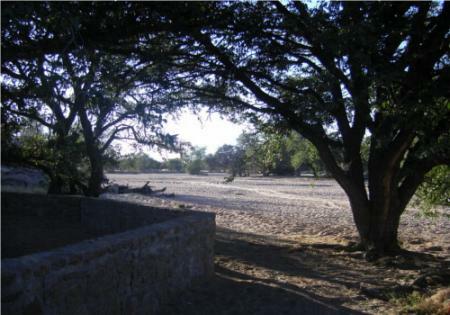 The overland camp sites are suitable for groups up to 30 delegates. 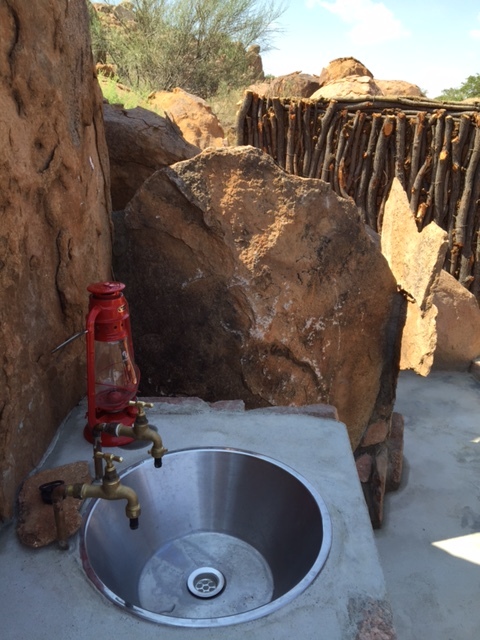 The communal ablution facilities offers hot water provided by the hot boiler system (donkey). 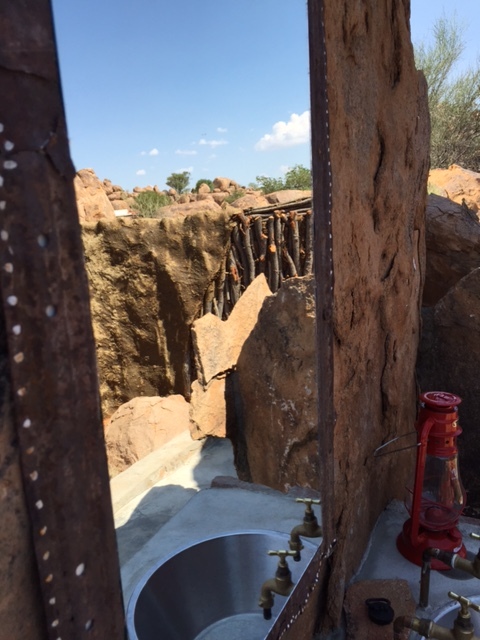 These campsites are situated between the river bed and granite formations. All bookings for the overland facilities should be made in advance through your local tour operator or travel agent. 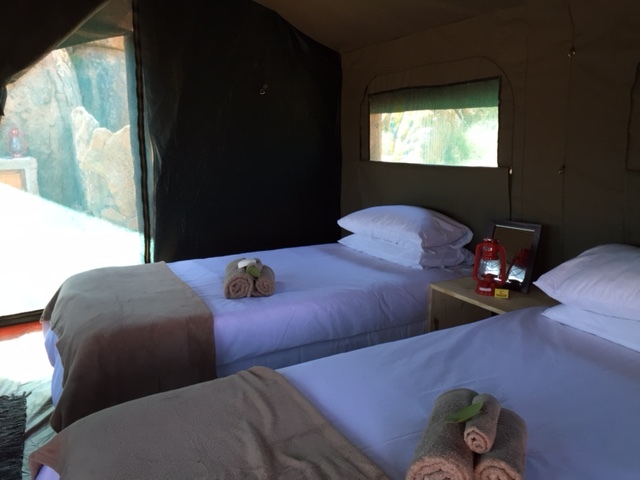 Madisa Camp now also offer comfortable tented accommodation with ablution facilities. 18 km west on road D2612 turnoff to Twyfelfontein, next to Gauntegab River.